Some of the most unsettling cases our law office evaluates are those involving the failure of a physician to diagnose a medical condition. Usually, we see these cases at a heartbreaking point, especially when death occurs or at a juncture when medical complications are such that it’s understood that valuable treatment time that was irremediably lost. Physicians are expected to be professional; that is the most central part of their job in diagnosing and treating patients responsibly. There are significant technological and peer review services available these days that should make failure to diagnose a rare occurrence. However, failure to diagnose or misdiagnosis is more common than most people realize. The Medical Professional Liability Association reported in August 2018 that failure to diagnose was responsible for the second-highest number of medical professional liability claims. These figures show that many of the cases are settled out of court. More than 80% of missed diagnosis claims involved permanent injuries to the patient or death. Many of the individuals we represent do their research and put their trust in reputable medical institutions. Unfortunately, failure to diagnose can occur anywhere. Many times, we see cases when the person thinks it was their fault that the condition was not diagnosed. The experts we work with explain cleat these questions and help us understand if explanations provided to our clients explain the failure to provide the right medical diagnosis. Some of Maryland’s most prestigious medical institutions have been in the news for diagnostic failures. For example, radiologists at the Johns Hopkins Bayview Medical Center in Baltimore failed to diagnose severe conditions. In one occurrence, a spine fracture, which appeared during a CT scan was not reported in the test results. In another case, several fatal embolisms that showed up on the CT scan of another patient were not reported. These errors led to severe medical conditions and wrongful death in some cases. Be cautious to assume that the top ratings of an institution mean they are infallible in failing to diagnose. Our experience is that valuable time needed to redress the losses can be missed when people blame themselves or assume failure to diagnose doesn’t happen based on ratings or other information that is not directly related to the medical treatment. According to a 2018 report prepared by Coverys, a medical professional liability insurer, diagnosis-related failures are a significant root cause of claims at 33%. (1) Pain or other manifestation of an injury occurs. (2) The disease advances beyond the point where it was at the time of the misdiagnosis and to a point where (a) it can no longer effectively be treated, (b) it cannot be treated as well or as thoroughly as it could have been at the time of the misdiagnosis, or (c) the treatment would entail expense, or detrimental side effects that would not likely have occurred had treatment commenced at the earlier time. 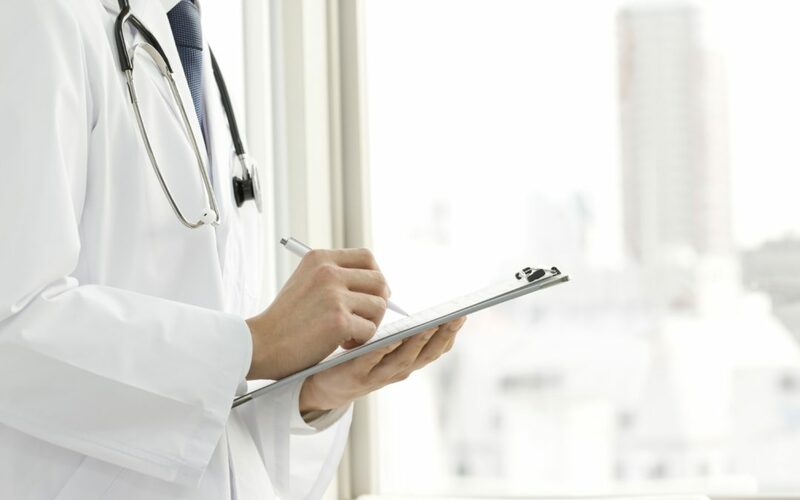 At Bennett & Heyman, our lawyers routinely represent individuals experiencing the pain and losses of failure to diagnose. We have been helping clients receive compensation for the injuries for over 50 years. If you are not sure exactly when the pain began to manifest itself or when the misdiagnosis occurred, we can help you make that determination. With our years of experience, we have built a team that knows well the types of situations giving rise to medical malpractice. Most medical malpractice cases have a time limit. For example, the Maryland legislature has designated time limits for medical malpractice cases. Pursuant to Md Code Ann., Cts. & Jud. Pro.§ 5-109, an action arising out of a health care provider’s failure to diagnose, should be filed within the earlier of either five years of the time the injury was committed or three years of the date the damage was discovered. This means the time calculation for filing a lawsuit begins to run when the potentially negligent actions are known, or harm or injury arose. Once five-years pass since the time when the harm or injury becomes evident, the lawsuit will be dismissed or rejected even when the issues under review are patently malpractice. Timing is one of the most debated issues in medical malpractice cases. Failure to bring a legal claim on time is considered a defense against medical malpractice. This means that the failure to act on time bars or make the lawsuit invalid irrespective of the injustice suffered. The health care provider has the burden or must prove that the claimant’s action is time-barred by the statutes. If you or someone you know is experiencing medical complications or the death of someone, they love due to a failure to diagnose a medical condition, there are laws that can help you recover financial compensation. Call our Baltimore personal injury lawyers at 410-429-7856 to schedule a free and private consultation where we can discuss the situation because time is of the essence. one of our legal professionals.